It might be a little bias to say that Andrew McMahon is one of the most underrated songwriters of the last decade (and a half), but I’m going to say it anyways. Andrew’s music has always been inspiring not only through the lyrics, but also through the origin of the album. When Jack’s Mannequin released “Everything in Transit” you could not help but be drawn to its California vibes. I felt the same way when hearing In The Wilderness’ self-titled debut album. When you put on your headphones or blast the album in your car you are automatically transported to the west coast, where the sun is shining and the waves are crashing along the shore. What’s really exceptional about Zombies on Broadway is that, the scenery has changed. You have been transported to the rather chaotic New York City, where a nuance of energy is born. Fire Escape is really where the nuance energy comes to life. The song is very self-reflecting of New York nightlife adventures. It makes you want to dance when the beat drops, and you become enthralled with the journey. Which is probably why the band decided to release it as the first single for this album. When you reach Walking in My Sleep the self-reflecting nightlife adventures have shifted to this yearn to return home to where it all started. There are so many captivating hooks and beats throughout the entire album that really keep it flowing from one song to the next. Andrew McMahon in the Wilderness’ sound is truly unique, with the balance between traditional instruments and synthesizers it allows for the band to appeal to both indie pop and alternative fans. 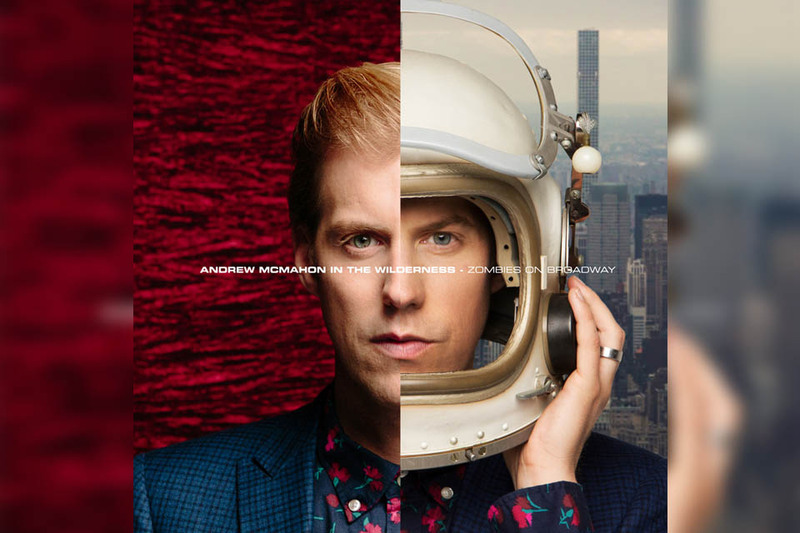 This album was a great way for Andrew McMahon to show to his fans that he’s constantly re-inventing himself and expanding his musical horizons. It’s one of the best things about him. You’re constantly excited to see what life experiences he is going to draw from to make rather exceptional music. You can listen to Zombies on Broadway on Spotify and Apple Music. Also, Andrew McMahon in the Wilderness are currently on tour so check them out if you can.